Accompanying a travelling exhibition on the work of the London-based Dutch artist, "The World of Madelon Vriesendorp" is a testament to a brilliant figure who has made a unique contribution to the visual culture of architecture. 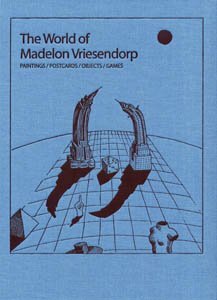 Images of Vriesendorp's idiosyncratic collection of drawings, paintings, postcards and paraphernalia are combined in this volume, alongside texts that illuminate her work. Charles Jencks ruminates on Vriesendorp's cosmology of symbols; the novelist and artist Douglas Coupland writes on the pathology of collecting; Beatriz Colomina re-treads the 'delirious' 1970s in New York; and Rem and Charlotte Koolhaas reframe the domestic environment that has been both family home and Vriesendorp's studio archive for 30 years. The artist's own view on the world is as witty as it is imaginative; vividly espousing her own 'theory of misunderstanding', a theory that privileges culture's heart-rending failures over its supposed successes.